London, UK (BBN)-England kept their hopes of retaining the points-based Women’s Ashes alive with a seven-wicket win over Australia in the first Twenty20 at Chelmsford. Needing to win all three T20s to retain the urn, Sarah Taylor’s 50 set up the comprehensive victory as the hosts chased down 123 with 15 balls left, reports BBC. The 26-year-old shared a 77-run second-wicket stand with captain Charlotte Edwards, who made a valuable 39. 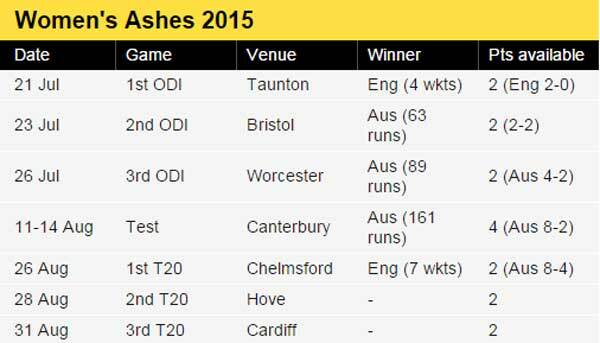 Australia, having been put into bat, were restricted to 122-8. Women’s Ashes: First Twenty20 international, Chelmsford. The victory maintained England’s 100 per cent record in Twenty20 internationals at Chelmsford, which now spans six matches. A brilliant fielding display by the hosts saw three players run out, while Natalie Sciver took 2-18. Taylor, who had failed to fire with the bat in the Ashes series so far, looked back to her bristling best, playing a series of impressive ramp shots in her 12th T20 half century. Despite the loss, the visitors require just one victory from the remaining two T20s at Hove and Cardiff on Friday and Monday respectively. Taylor, awarded player of the match, said: “I have not done myself justice so far this series. That belief is back and it was trying to find that again. “If you have a look at the Test match, I probably didn’t play my game, but going into the T20s I was reminded that my game has been working for a while so there was no need to change it – and I don’t know why I did. 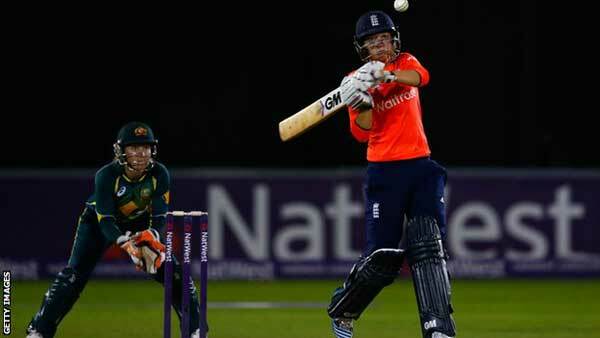 Australia skipper Meg Lanning said: “England outplayed us in all departments of the game. “Their opening bowlers really set the tone in the first six and we just couldn’t get going with the bat.